Professional grade canvas boards are constructed throughout with the highest quality non-acidic archival materials. * The tempered hardboard core will not warp become brittle or rot over time. 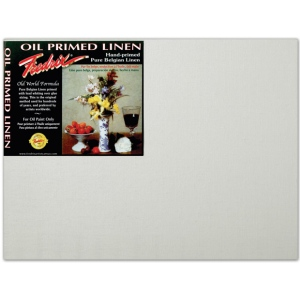 * Mounted with proprietary acid-free adhesive the painting surfaces use the finest Fredrix primed canvases. * All carry the Fredrix archival seal of quality.